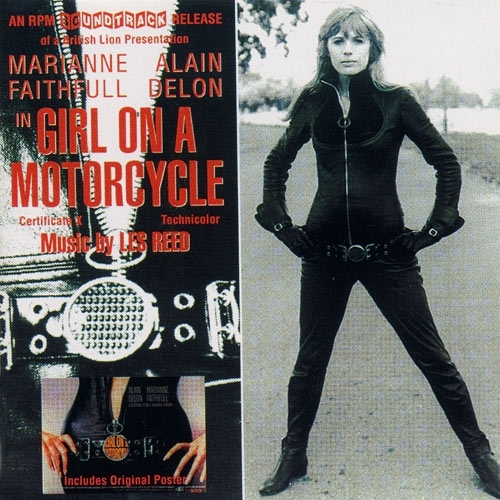 A brilliant soundtrack composed and arranged by Les Reed, and very much of 1968 when the film was released. 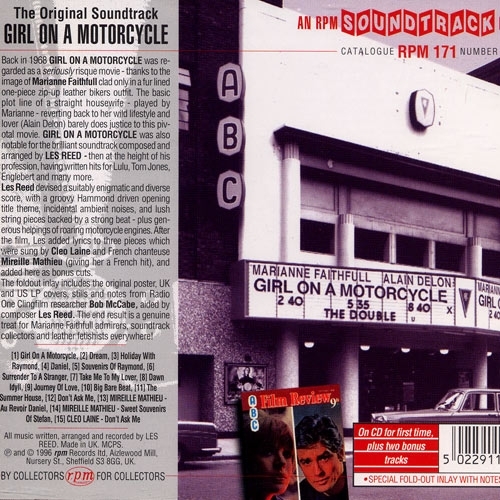 A groovy hammond driven opening title theme music, incidental ambient noises, and lush string pieces backed by a strong beat, all interspersed with roaring motorcycle engines, make for an exotic aural experience. 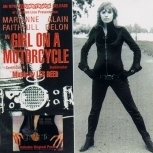 This cd is a genuine treat for soundtrack collectors, Marianne Faithful admirers and leather fetishists everywhere!